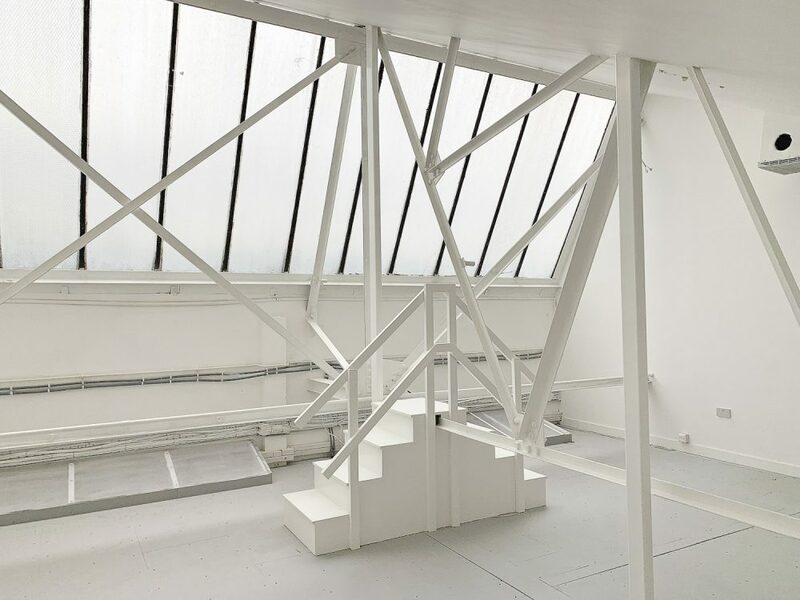 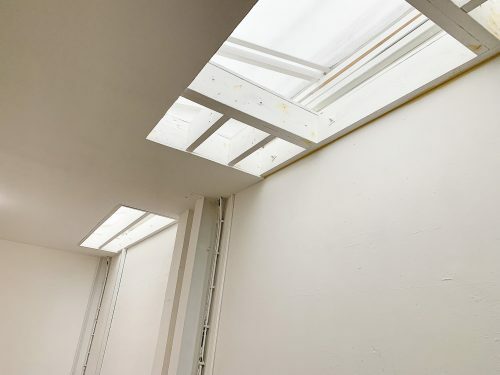 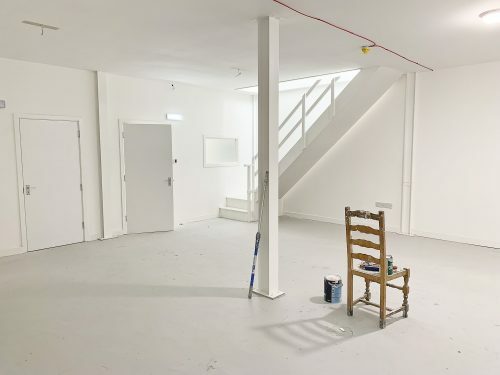 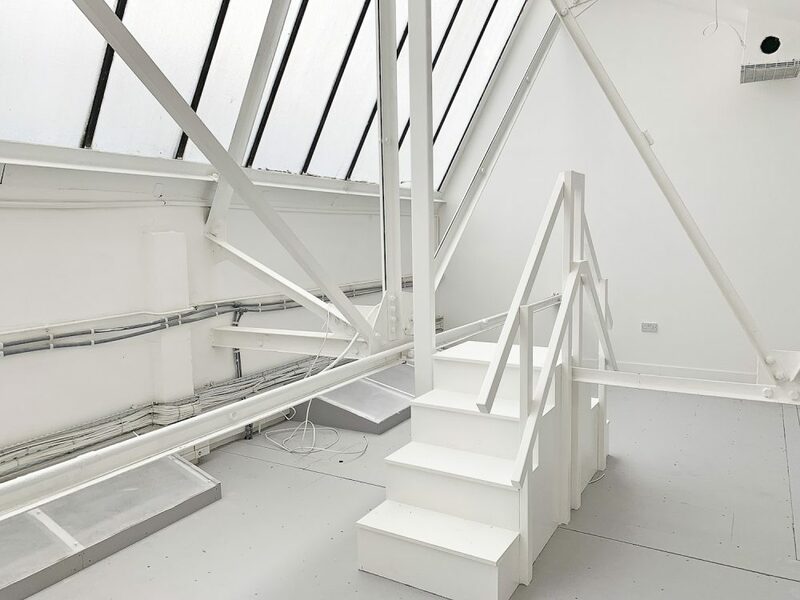 Beautiful warehouse conversion, with white washed walls, high ceilings, mezzanine flooring and huge industrial windows in all studios, ideal for creative workspaces. The warehouse unit is 1300 sq ft in total, including a mezzanine floor. 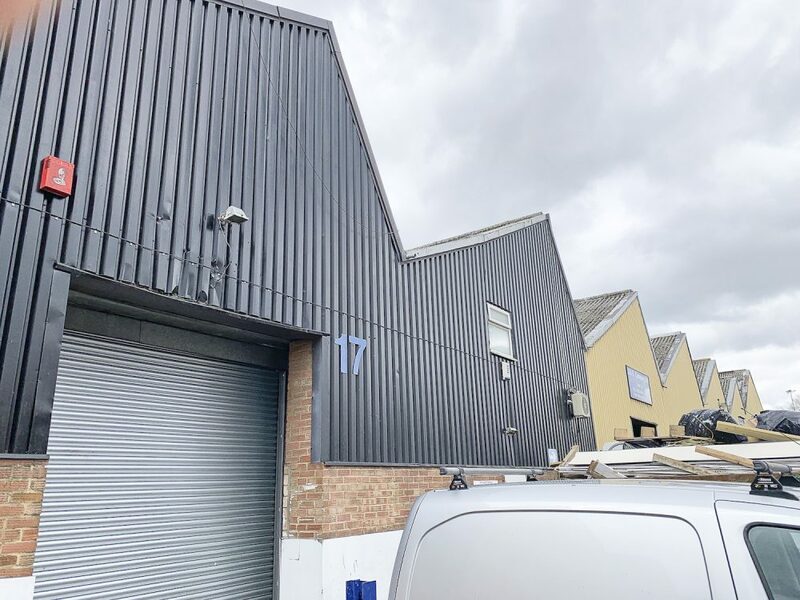 The unit has been brand newly converted, the open area has a concrete floor painted flint grey, white walls and a very high roof with skylight windows for lots of natural light. 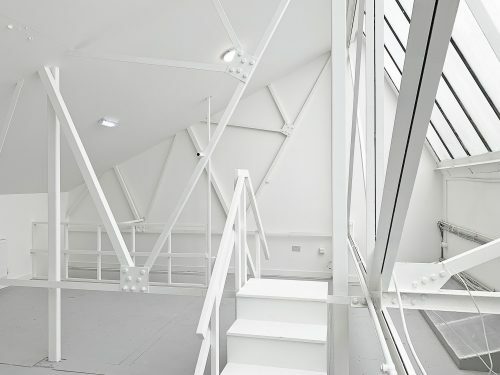 The mezzanine floor has bright white painted walls and huge industrial windows throughout. 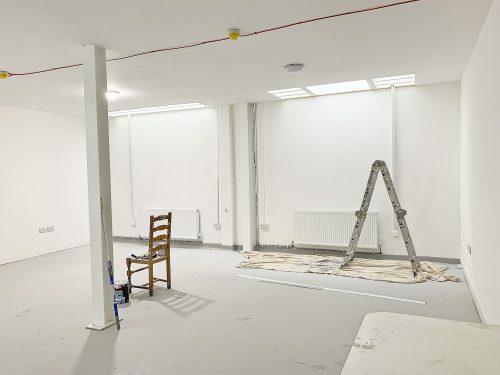 The unit has gas central heating and electricity points. 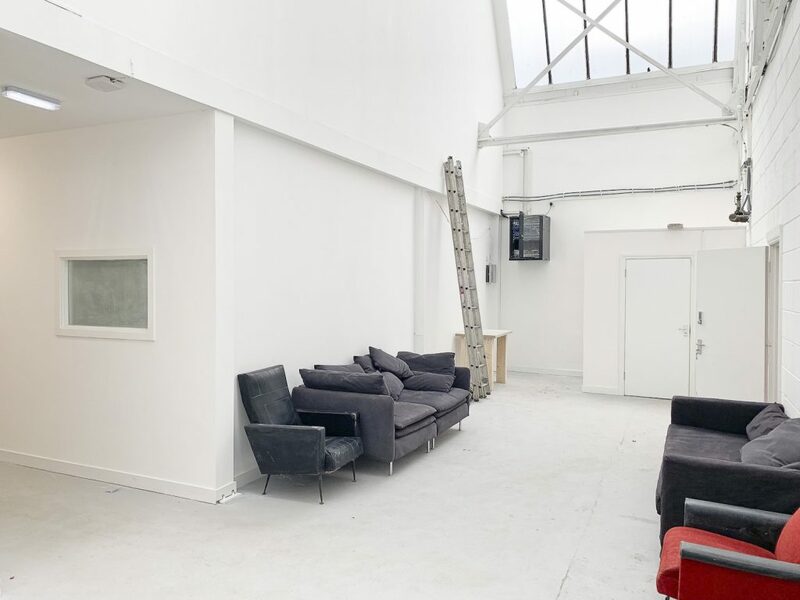 There’s a communal open area and a communal toilet as shown on images below. 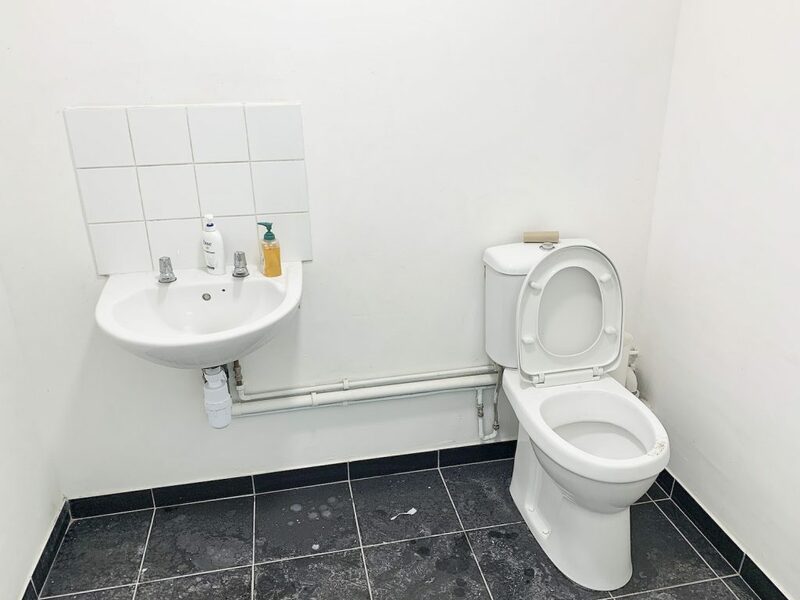 The unit has 24 hour access. 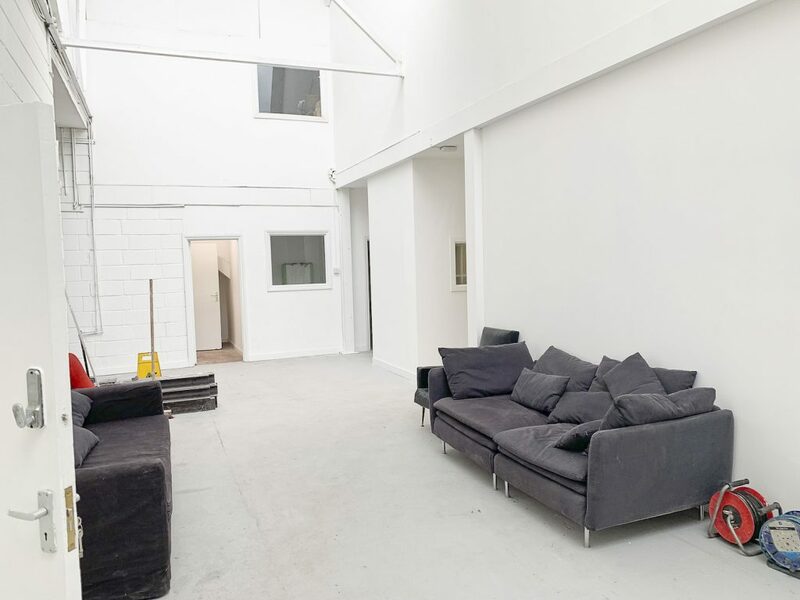 5 min from bars, cafes, pubs, restaurants on local high road.